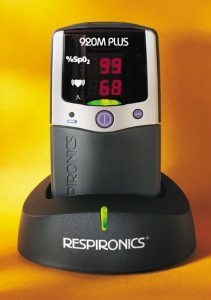 Respironics is a leading supplier of top quality respiratory devices and solutions. The company represents a global market, and physicians all over the world trust the quality offered by Philips Respironics. 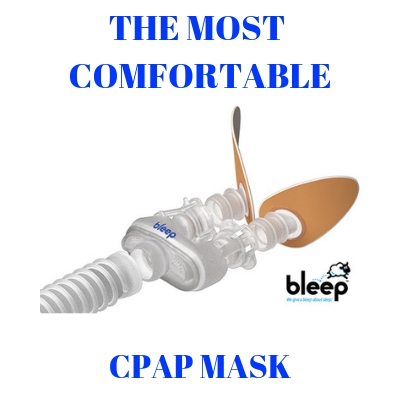 At SleepRestfully.com you can now find a great variety of CPAP therapy devices and accessories designed and developed by Respironics. Patients are welcome to use the comparison chart available online in order to check out the side by side comparison of several products. This way can choose much easier the right respiratory device. Getting enough sleep is one of the most important prerequisites for proper development and perfect functioning on both physical and psychological levels. Patients who are bothered by the discomforting side effects of Sleep Apnea will find it extremely difficult to get a good night’s sleep. We at SleepRestfully strive to offer you the most comprehensive selection of Philips Respironics, ResMed, Fisher & Paykel or SeQual respiratory devices at the most budget friendly prices. Keep in mind that you must make proof of a valid prescription in order to be able to purchase any respiratory device. Contact the team of friendly experts at SleepRestfully customer service to get more valuable information. Low oxygen intake can have a disastrous effect on the human system. Also, if the patient is suddenly awaken by a sensation of choking or grasping for more air that will turn into an entire sleepless and restless night. Philips Respironics designed and developed plenty of respiratory device solutions to meet the needs of all patients –from Sleep Apnea to lung cancer and Emphysema. Your physician will appoint the right type of CPAP, BiPAP, or POC therapy for home use. The doctor will also appoint the right oxygen flow adjustments and from there on using oxygen therapy is extremely easy ad comfortable. Sleep Therapy Devices — includes a wide variety of CPAP, auto-CPAP, Bi-level respiratory therapy devices. The devices have intelligent inbuilt technology to make therapy easy for the patient to use and easy for the physician to track for diagnostics. Respironics offers clinically proven, reliable technologies for the most efficient oxygen therapy treatments. Respironics Masks– a varied selection of nasal, minimal contact or full face masks that patients can choose from. The masks designed by Respironics offer full comfort all throughout the night. There are also minimal contact masks available which are engineered for maximum and stability yet they are extremely simplistic in design. The masks are designed to deliver efficient therapy while having minimal contact with the face of the patient. Some of the best Respironics minimal contact masks include the ComfortLite2, GoLife or OptiLife. Philips Respironics is a world renowned manufacturer of oxygen therapy and CPAP therapy products. Their devices offer patients freedom of mobility and personalized oxygen therapy so they can enjoy good health and a better quality of life. At SleepRestfully.com patients are welcome to browse through the wide range of high quality Philips Respironics products, and by contacting customer service directly patients can get even more details pertaining to oxygen therapy devices. Philips Respironics offers a wide variety of innovative oxygen, ventilation, pulse oxymetry and patient data management solutions. Your physician is the one who will prescribe the exact type of CPAP or BiPAP device that is suitable in your case. The company strives to offer the most modern and helpful self management systems for patients with health problems such as Obstructive Sleep Apnea. 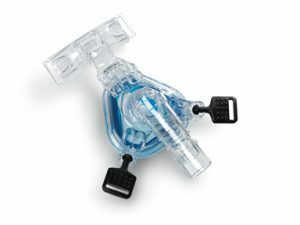 The CPAP – Continuous Positive Airway Pressure- devices help patients get more oxygen into their lungs whenever needed. CPAP devices take ambient air and transform it into therapeutic quality oxygen. The device passes air through several filters to ensure bacteria and allergens are kept outside and then air is pressurized to be delivered in optimum dosage. CPAP devices designed by Philips Respironics are equipped with smart, innovative technology, they are lightweight and extremely quiet. Patients can choose from Continuous Flow or Pulse Dose oxygen therapy CPAP machines. The Therapy levels can be set different for inhaling and for exhaling. Certain patients find it difficult to exhale against a high pressure dose of oxygen coming from the CPAP machine, and in their case BiPAP therapy is most highly recommended. Philips Respironics also designs some of the most comfortable and efficient CPAP masks which are used during CPAP therapy. Their minimal contact masks include OptiLife, ComfortLite 2 or Simplicity. Philips Respironics offers both portable and stationary oxygen concentrators. The EverFLO Portable or the Stationary oxygen concentrator is just one fine example of ultra efficient oxygen therapy at home. Philips Respironics is about simplifying healthcare with main focus on both parties in the healthcare cycle- the patient, as well as the healthcare provider. If you would like even more information regarding the available respiratory therapy solutions, please call our toll free number at 866-923-CPAP. Our friendly and highly experienced assistant will take your call and help you with any question you might have.